There are over 23 million speakers of Dutch mainly in Netherlands and Belgium. Dutch is considered a west germanic language. Dutch is considered to be an inbetween language of German and English. 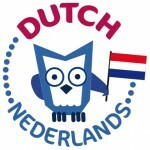 Dutch is the official language of Aruba, Belgium, Curaçao, Netherlands, Sint Maarten, Suriname, Benelux, Union of South American, Caribbean Community CARICOM. Most Dutch speakers are based in the European Union where it is their first language and a second language for approximately 5 million. In Belgium Dutch is colloquially known as Flemish. In the province of Friesland in Holland, a small part of Groningen, Frisian is also recognised and is spoken by a few hundred thousand Frisians. Some native speakers of Dutch assume that Afrikaans and West Frisian are ‘deviant’ dialects of Dutch. They are actually separate and different languages, a daughter language and a sister language, respectively. They are still largely mutually intelligible with Dutch.Afrikaans evolved mainly from 17th century Dutch dialects, but had influences from various other languages in South Africa. However, it is said that Dutch can understand Afrikaans written easier that Afrikaans understanding Dutch. West Frisian evolved from the same West Germanic branch as Anglo-Saxon and is less akin to Dutch.